Never Ending Newness … Live Love Shop ALLY FASHION! share with your friends and snap them up so you’re always got your finger on the pulse of what’s hot right now! Why Wait for Good Hair? Get those those Hair Extensions you’ve wanted or just a complete color change….without any upfront payments! 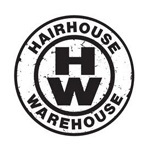 Hairhouse Warehouse Ingle Farm has teamed up with ZipPay, so you can stock up on all your favorite products or pamper yourself in the salon, without any upfront payments or interest – ever! You can now utilise free WiFi every day! 2. Select network ‘– Free WiFi Ingle Farm’. 5. Click Accept & Enjoy! Note: Terms and Conditions must be accepted before you can use the Free WiFi service. Once the Terms and Conditions are accepted, you can use this free WiFi service.